There are no ‘keep off the statue’ notices on The Sockman in Loughborough town centre. People rub his toe for good luck. I don’t think it works but just like my mum I always do it. Others sit their children on Sockman’s outstretched stockinged leg. His other foot is bare. One sock on one sock off. 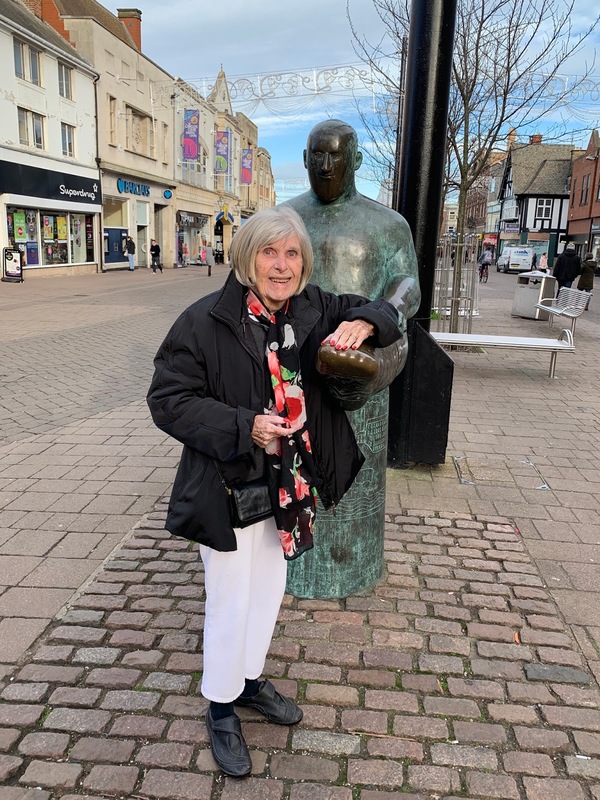 The statue is by Shona Kinloch and when commissioned and unveiled the press printed comments from outraged councillors and a few members of the public. They were wrong in their protestations. People in general love him.